Did Bobby Jones Use an Illegal Putting Stroke? In their recent rules decision, the U.S.G.A. 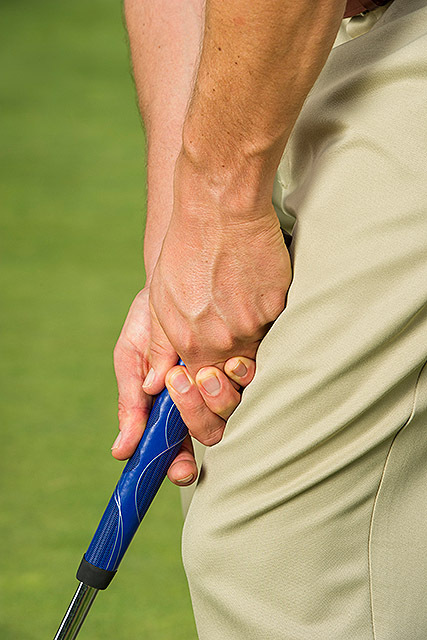 and R. & A. claim that “the essence of the traditional method of golf stroke involves the player swinging the club with both the club and the gripping hands being held away from the body,” but I question whether that is actually the case. If you look at video of golfers in the nineteen-twenties and nineteen-thirties, you see that many of them anchored a hand or forearm against their leg to create a hinge (a technique that will become illegal under the new rule). It makes me wonder how the stroke has evolved over time and whether there really is an “essence” of the traditional stroke. (It seems to me like the U.S.G.A. might be making stuff up.) Is it possible that anchored putting is actually more “traditional” than non-anchored putting? This entry was posted in Tour Players, Tournaments, U. S. Open, Uncategorized and tagged anchored putting, Bobby Jones, putting, Rule 14-1b, USGA by David Owen. Bookmark the permalink. I think this is great food for thought and it seems to throw a wrinkle into the USGA and R&A logic in imposing the “anchor” ban. There are a lot more important things for them to be worrying about besides this issue. Jones explicitly advocated anchoring (against the watch pocket) in one of his newspaper columns. Say it aint so Bobby!!!! Maybe all those drunk glugs who call Keegan Bradley a “cheater” will turn their ignorance toward Bobby Jones. I think u should be able to putt how ever u want! But also keep in mind that greens in Jones’ day were much slower and less manicured. 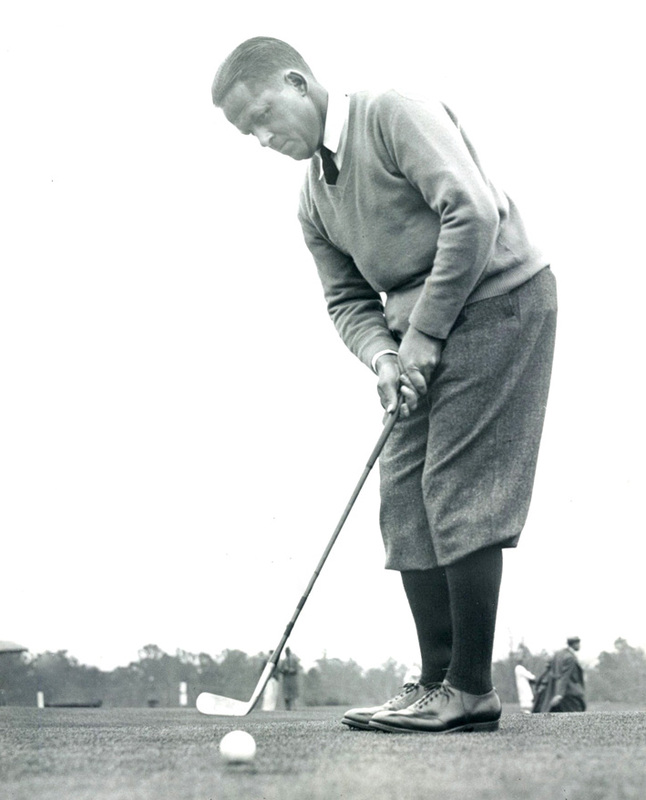 The wristy “pop” stroke was more effective on those greens vs. a longer flowing arm/shoulder stroke that nearly everyone uses today on perfect fast greens. Jones also had a fair bit of hip rotation on his stroke, at least for longer putts – don’t really see that today, either – gotta keep that head & body still! maybe Tiger and those others that are in favor of the Anchoring ban, should BOYCOTT Augusta from now on to show they have principles. LOL they are Hypocrites. Arnold Palmer had had a putting stroke that was not so different. It appears that his forearms are resting on his upper legs as he flicks his wrists to putt hinging around his fixed forearms. As he opposes anchored putting, he must believe his stroke was not anchored. Obvious from video Jones did NOT anchor or use an illegal stroke. Try to keep in mind the stimp on the greens at the time. The sweep has evolved to a stroke or pop in tandem with turf care and ball changes. The new rule says hands, plural, so pros better stop tapping in those 2 to 4 inchers one handed.